This entry is part 5 of 9 in the series CheeseWeb Tastes Cheese. We taste delicious organic goat cheese from Belgian farm, Chèvrerie du Bois des Mûres, in Havrenne, near Rochefort, in the province of Namur. If you’ve been hanging around CheeseWeb for any length of time, you’ll know I’m crazy about two things: cheese and goats. So, when I get to combine these two passions in one outing, it’s a fun and tasty day indeed. 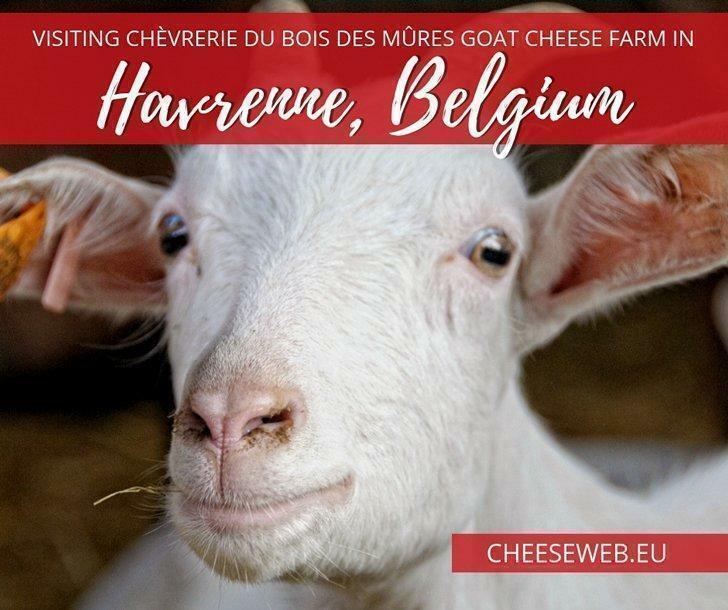 Last autumn when I was exploring sustainable tourism in Wallonia, listening to mating deer, among other fun activities, I also had the opportunity to visit a goat farm – one that produces delicious goat cheese, the Chèvrerie du Bois des Mûres. It was a cheese lover’s heaven. This is not the first goat farm I’ve visited in Belgium (and hopefully it won’t be the last.) However, it was the first time I was able to peek behind the scenes and watch the cheese production. The Chèvrerie du Bois des Mûres is a small, organic, family-run farm. The owner, Christophe Poucet, took the time to show us around the farm himself and it’s evident how passionate he is about his 150 goats. 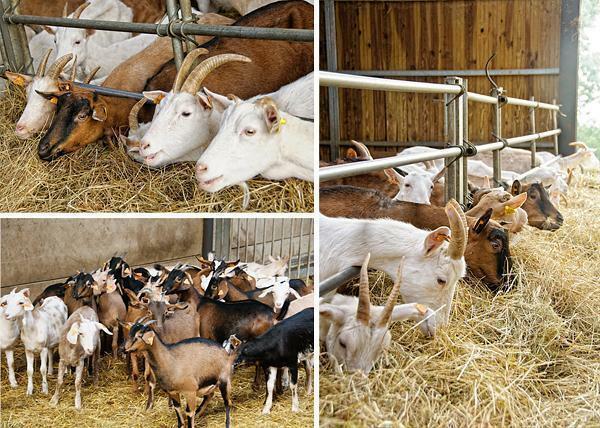 The goats were obviously happy and friendly, many eager for a head scratch while munching on their abundant supply of hay. 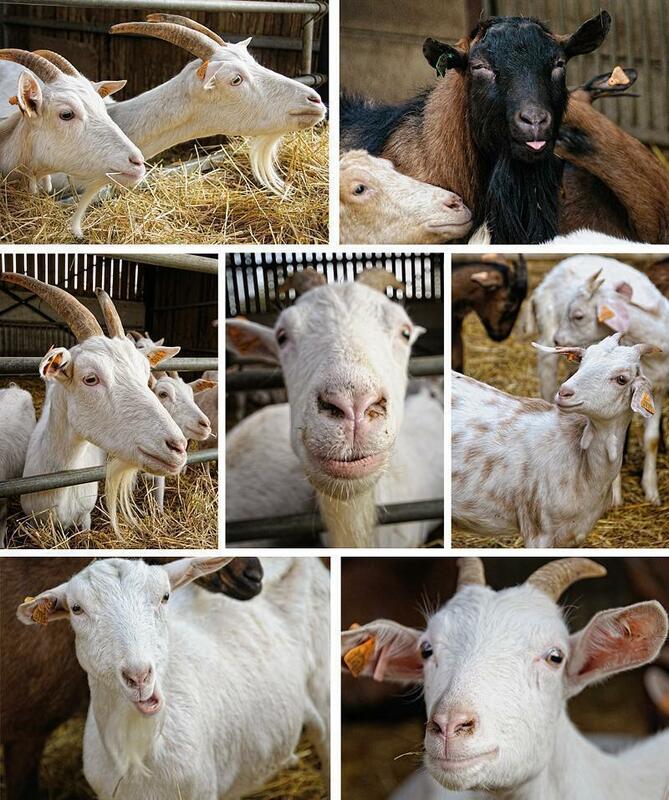 These are friendly, happy goats! Of course, I was excited to see the baby goats, but alas, I wasn’t able to persuade Christophe (or Andrew) to let me take one home. Christophe left his job as a chef in 2007, to pursue his goat cheese dream. These days, he produces a variety of fresh cheeses that he distributes to shops and restaurants around the country. Christopher and his family members do everything by hand, from putting the cheese in molds to coating the cheese with seasonings. His soft cheeses are coated in a variety of spices and fresh herbs, including garlic, shallots, fine herbs, and Italian spices. These are delicious spread on rustic bread or are available in small balls, perfect for party nibbles. Delicious goat cheese from Wallonia! 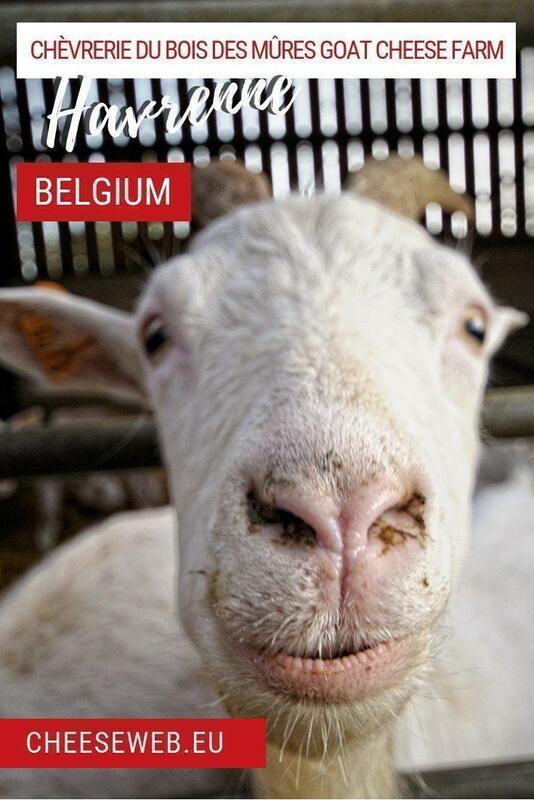 The Poucets also produce goat meat, which Christophe explains most Belgians don’t have a taste for… yet. 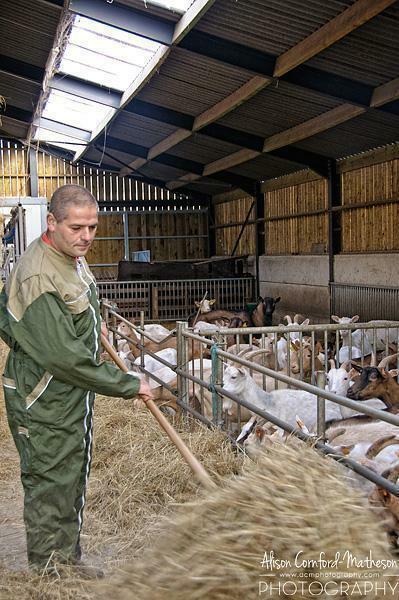 While there is some interest among immigrant communities in Belgium, Christophe exports the majority of his goat meat to southern Europe, particularly the South of France. Unfortunately, the Chèvrerie du Bois des Mûres doesn’t have an on-site shop. However, you can arrange to visit the farm via email or on Wallonia’s open farm days. 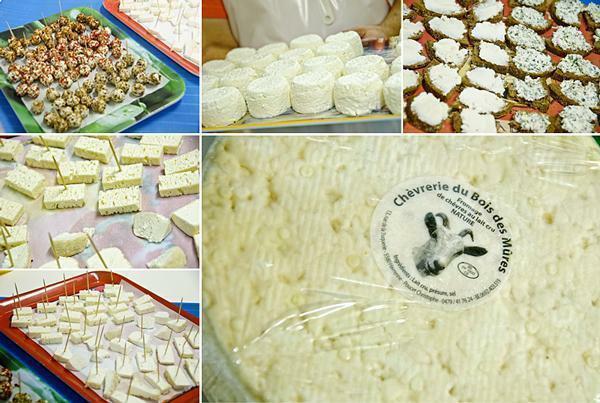 If you want to get your hands on these tasty goat cheeses, you can find them at Au Fin Bec, a gourmet deli in Rochefort. Thank you to Brussels Wallonia Tourism for introducing us to the Chèvrerie du Bois des Mûres.